First, the Genesee Brewery will close all shifts for one day so up to 400 employee volunteers can work on beautification projects in North Rochester. Brewery workers will focus on Lomb Memorial Park, Genesee Riverway Trail, High Falls Terrace Park, Conkey Corners and Scrantom Street. Partnering with Cardinal Lawn and Landscape, work will include: planting new trees, shrubs and flower beds; removing trash, debris and weeds; and beautification of urban spaces, parks and trails. Genesee meets regularly with neighborhood and environmental groups who together designed the community revitalization plan for these areas. Later that day, the Genesee Brew House will host up to 40 New York state breweries, twice as many as last year, at a craft beer festival designed to put a spotlight on the statewide beer scene. Featuring New York state breweries and 15 beer industry vendors, the Tap it Forward Festival will start at 5 p.m. and run until 9 p.m. 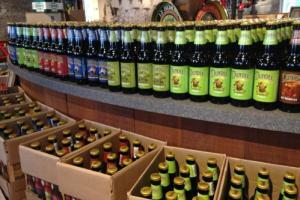 The Festival will feature live music, food trucks, backyard games, vendors and New York state craft beer and cider. Last year’s Festival sold out so people are encouraged to order presale tickets for $20. Proceeds from the event, will benefit the New York State Brewers Association which brings together the beer industry, providing leadership and advocacy. 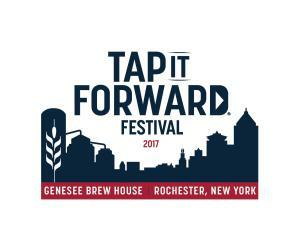 The goal of the Tap it Forward Festival is to showcase Rochester and New York state as a destination for great beer. 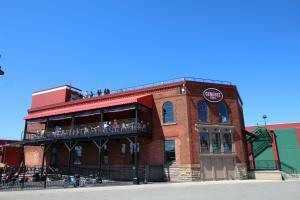 Participating breweries include: 1911 Established Cider; Big Ditch Brewing Company; Blue Point Brewing Company; Bottomless Brewing; CB Craft Brewers; Ellicottville Brewing Co.; Empire Brewing Company; Fairport Brewing Company; Fleur de Lis Brew Works; Flying Bison Brewing Company; Four Mile Brewing; Genesee Brew House; Good Nature Farm Brewery & Tap Room; Hamburg Brewing Company; Ithaca Beer Co.; Knucklehead Craft Brewing; The Lost Borough Brewing Co.; Lunkenheimer Craft Brewing Company; Naked Dove Brewing Company; Nedloh Brewing Company; Prison City Pub and Brewery; Railhead Brewing Company; Resurgence Brewing Co.; R.G. Brewery; Roc Brewing Co.; Rohrbach Brewing Company; Rootstock Ciderworks; Saranac Brewery; Seneca Lake Brewing Company; Shmaltz Brewing Company; Southern Tier Brewing Company; Stoneyard Brewing Company; Swiftwater Brewing; Three Heads Brewing; Triphammer Bierwerks; Two Goats Brewing; War Horse Brewing Co.; and Woodcock Brothers Brewery. Click here for more updates. Participating food vendors, artisans and suppliers include: Le Petite Poutine, Neno’s, Roc City Sammich, The Meatball Truck, Black Bird Design, Bluebell Hopyard, Crazy Dog T-shirts, Draughtlab, Hedonist Artisan Chocolates, Hopp’d & Brew’d Sauce Co., Hungry Hound Beer Grain Treats, New York Craft Malt, NYS Brewers Association, Orange Vessel Co., Paris-Kirwan Associates, Pioneer Malting Inc., Rocco Gaetano D’Angelo Fine Cigars, LTD.; and Upstate New York Homebrewers Association. The two events demonstrate Genesee’s triple bottom line culture which prioritizes community impact and environmental stewardship to build up the brewery, engage partners and make connections to people who drink beer. According to Marisa Giambanco, associate brand manager, Genesee Brewing Company, Genesee is committed to doing its part to make New York state a place known for high quality beer. “We have a tremendous opportunity to showcase the quality and variety of craft beer, ingredients and suppliers in New York state. By working together as a beer community, we can build this region’s reputation as a destination for great beer,” said Giambanco. Since 2010, Genesee has invested $120 million in its campus, creating 250 jobs and attracting hundreds of thousands of people to the area annually through its Genesee Brew House. Included in that investment is $40 million to create one of the most advanced brewing systems in the world in Rochester, New York. That project, which is slated for completion in early 2018, will allow Genesee to make beer more efficiently, improve its environmental footprint, and provide opportunities to grow.